1. This black aluminium bike rack has a red silicone strip that protects the frame of your bicycle from being scratched. A kebony wood detail on the front of the rack keeps it stylish. 2. 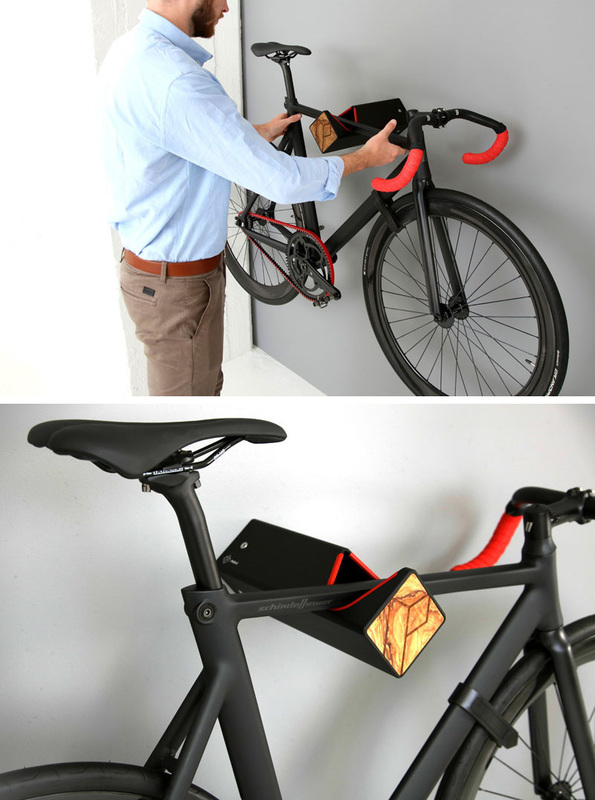 Not only does this black wood bike rack want to hold your bike, it wants to hold your books too! 3. 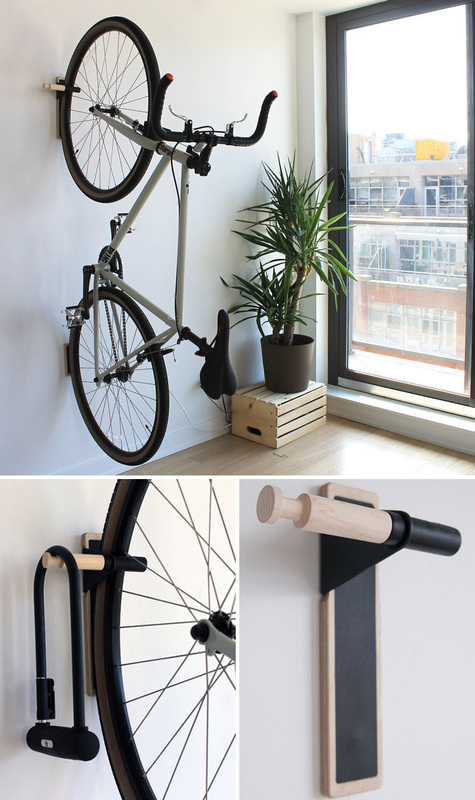 This sturdy black and wood wall mounted rack provides space for your bike and your lock. 4. 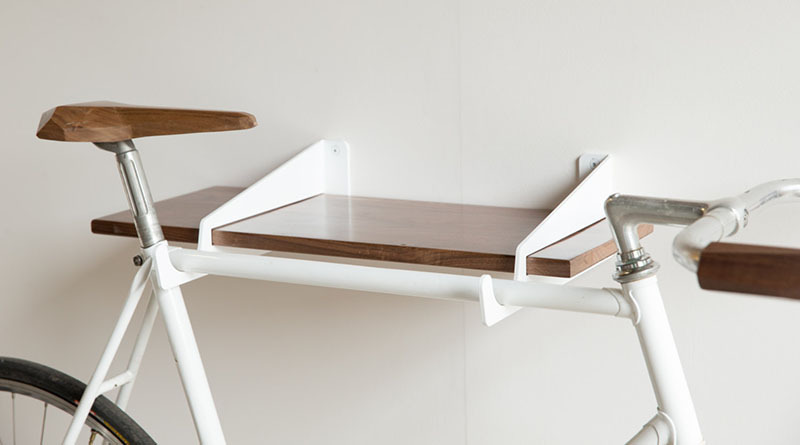 This white and wood modern shelf provides storage and a place for you to hang your bike at the end of the day. 5. 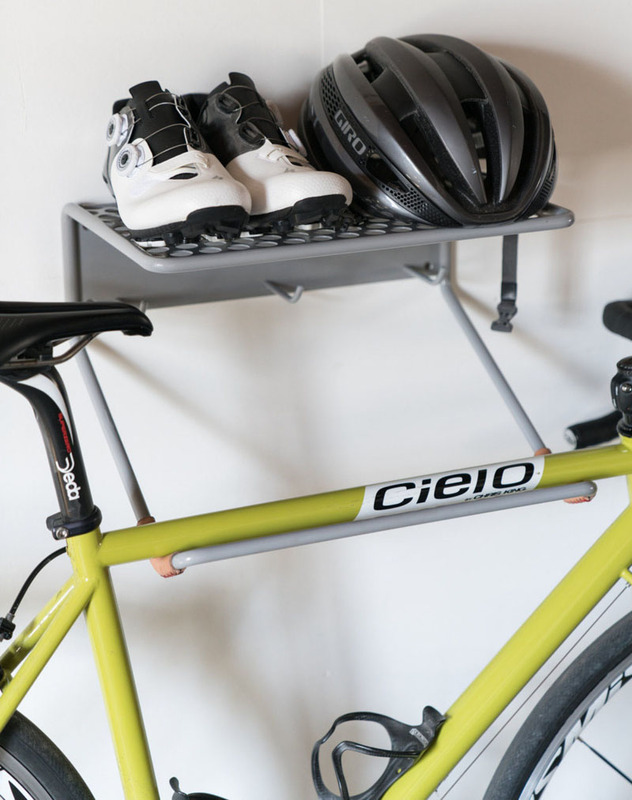 Minimalist in design, this black steel bike rack stores a bike with ease. 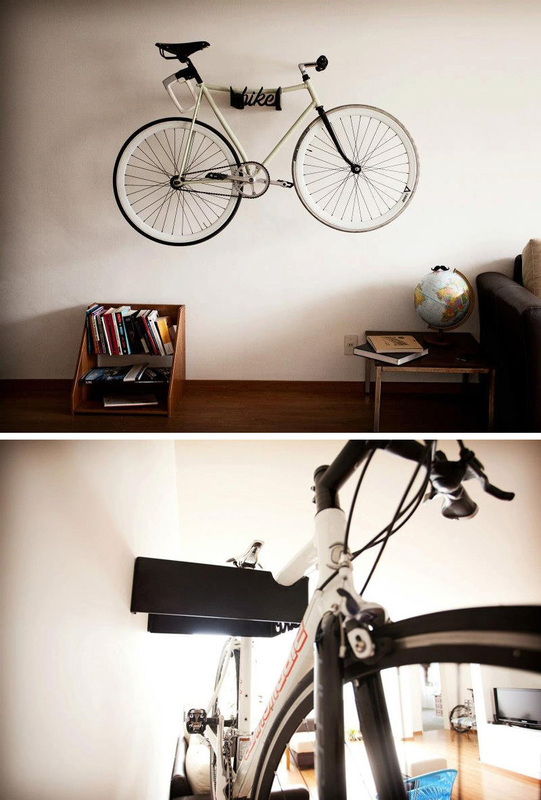 Space at the top ensures you never forget your helmet. 6. 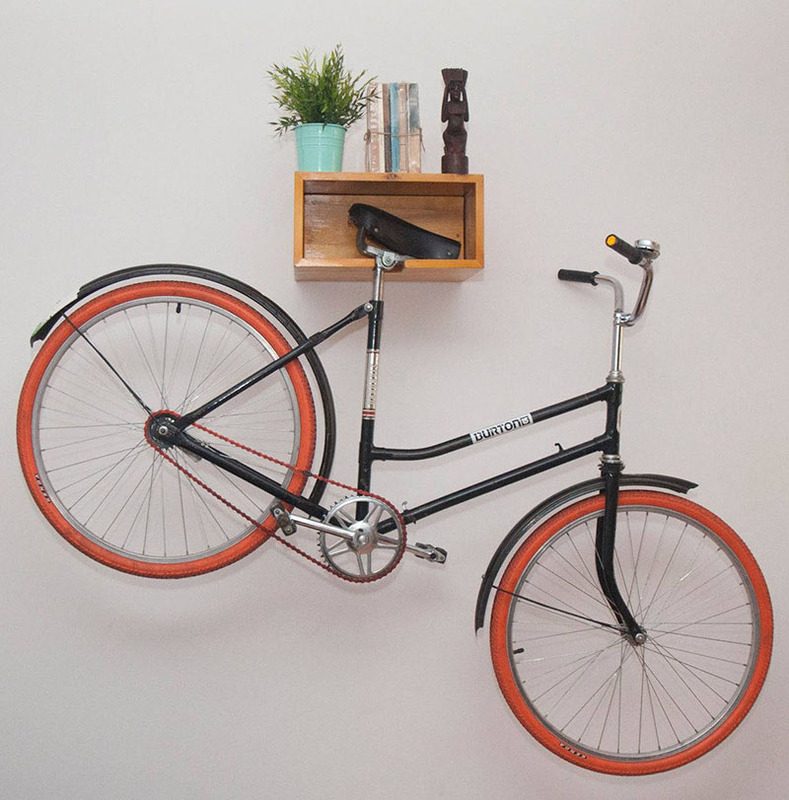 Making sure your home decor doesn’t take a hit, this light wood bike rack doubles as a shelf for ornamental displays, and a convenient place to store your bike. 7. 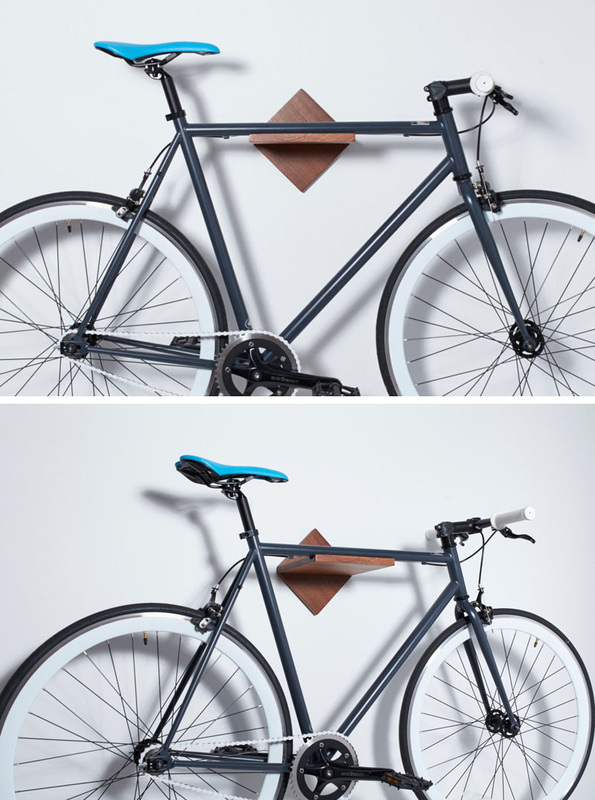 Made from warm mahogany wood, this minimalist bike rack is ideal for hanging your bike in a small space. 8. 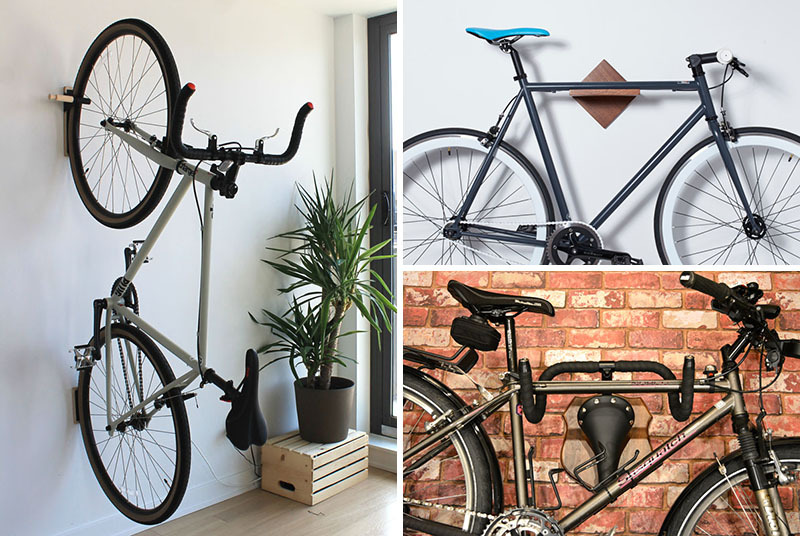 Made from recycled bike parts, this creative rack is meant to mimic hunting trophies. However, it’s very clear that this handlebar, wood mounted rack is meant for bicycles. 9. 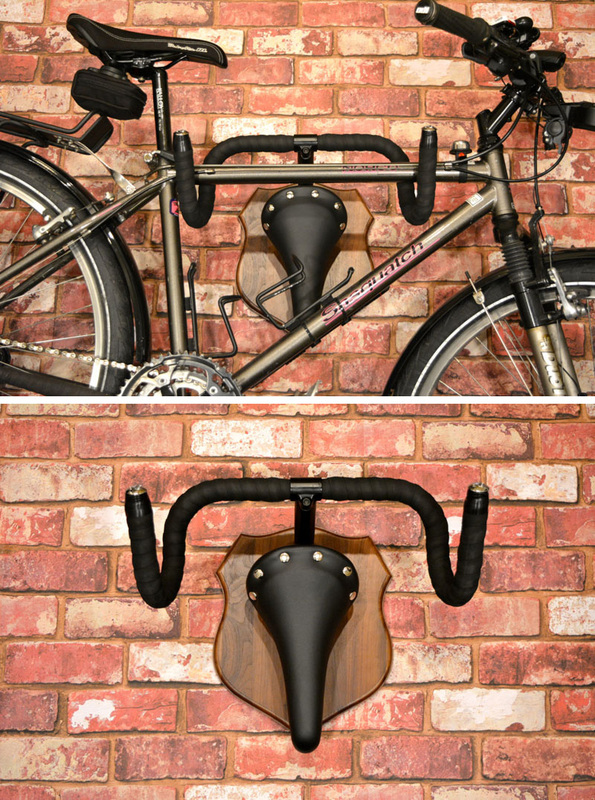 Made from black steel, this wall mounted rack is customised for hanging bikes in small spaces. 10. Made from solid black steel, this minimalist bike rack is meant to mimic bull horns. 11. A small groove at the front of this maple wood bike rack, provides space for a bike to fit comfortably in place. 12. 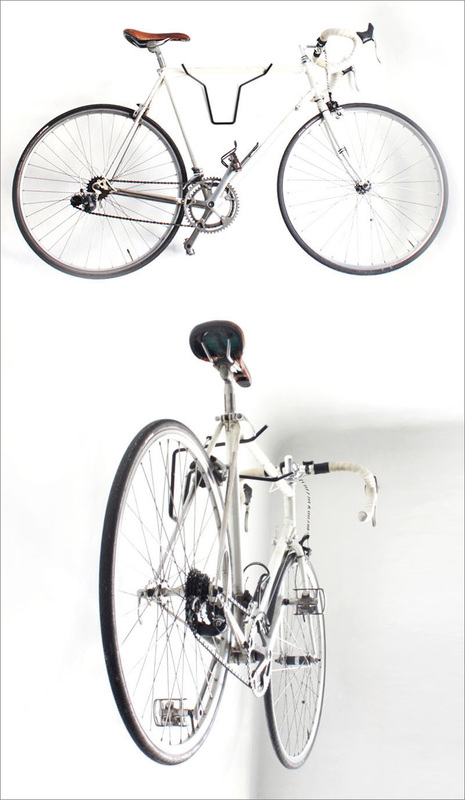 This grey steel bike rack is sturdy and functional, providing space to hang your bike, your jackets, shoes, and helmet. 13. 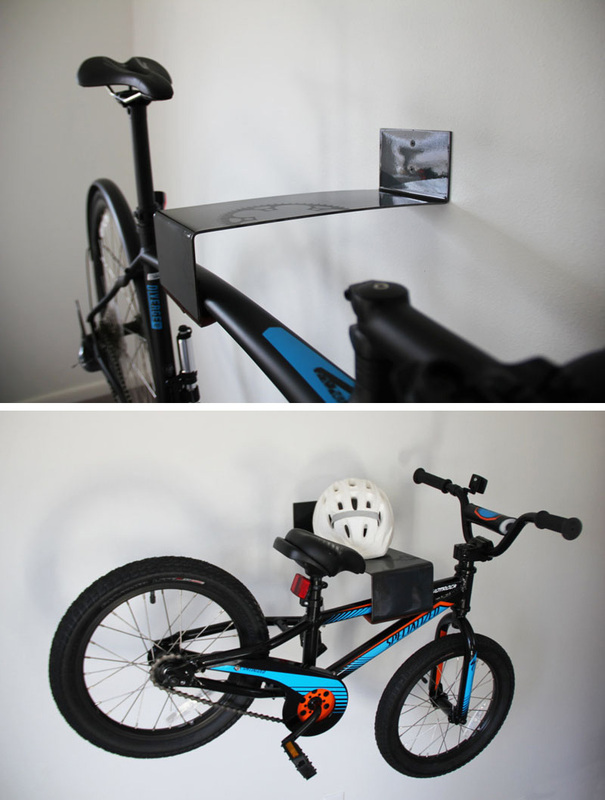 With the ability to hang two bikes, this blue steel wall mounted bike rack is perfect for maximizing storage.